The Driving Academy is dedicated and committed in delivering quality driving lessons in Horsforth to all of our customers. All our driving instructors in Horsforth are very professional and all have very high pass rates too. We pride ourselves on having the best professional driving instructors in Horsforth and our pass rate reflects this. If you’re looking for intensive driving courses in Horsforth or just want weekly driving lessons, then we can provide you with driving lessons in Horsforth that suit your convenience. You can find the costs for driving lesson prices for Horsforth a little further down on this page. A money back guarantee - Yep, that's right and you did read that correctly. We believe in offering you a money back guarantee on your driving lessons in Horsforth if you're not happy with the driving lesson that you've just had. You can read more about this in our FAQ section below. How does the money back guarantee work? The main reason why we offer a money back guarantee scheme is to ensure that all of our driving instructors in Horsforth give you a good quality of service. After all, our business is dependent mainly on recommendations so we want our reputation to remain intact. 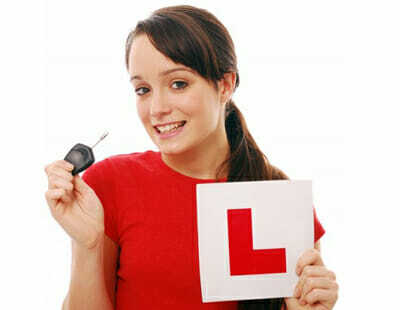 We always try to ensure that you start and finish your driving lessons where it's most convenient for you. Whether this will be at home, college or even a friends house. However, one thing that we ask you to take into consideration is that please try to ensure that your driving instructors time is used efficiently. For example, it wouldn't be convenient or make much business sense if you asked your driving instructor to pick you up from Horsforth and drop you off in Hull because your instructor now has to take an extra hour travelling back to Horsforth for their next customer so from a business perspective this is not viable as the instructor would lose not only time but also money for fuel too making such as round-trip. It's normal practice that you would use one of our cars for your driving lessons in Horsforth. However, if you would prefer to use a car that you have access to then it's perfectly ok to use your own car for your driving lessons. Providing you have the correct level of insurance. Tip 1 – Choose the right instructor for you. Ask friends or family who they used and ask what they thought of their instructor or driving school and try to get a driving instructor that’s fairly local to you in Horsforth. Don’t just make a decision on price alone. Tip 2 – Get value for money. Make sure you don’t choose one of the driving schools in Horsforth that does “piggy backing”. This is where at the end of your lesson your instructor picks up their next pupil towards the end of your lesson. Remember, it’s your time that your paying for so you want to get your full monies worth. Driving instructors in Horsforth – what is one? Wha’ are driving schools in Horsforth ? In essence, a driving school is a person who has passed the DVSA qualifying exams to become a driving instructor and has committed to run a business whereby teaching people how to drive. A driving school can be either a single person or a group of people. For example, if you have a look at some driving instructors fairly local to Horsforth, you will probably see individual driving school cars with their name on a roof box such as Superdrive Academy. Or you may see a group of cars such as BSM floating around the town. What are driving lessons in Horsforth ? A driving lesson will have a set time length such as one hour. It could be more but this all depends on the offerings of the driving school. Some driving schools in Horsforth offer intensive driving courses and some driving instructors in Horsforth can offer refresher driving lessons too.